Austen said: “We live in a massive data world but there’s no one really processing all this data for the UK, through artificial intelligence, and using it to help us all. “That’s where SAINTS can come in. We focus on problems that actually mean something to people – problems that people struggle with in everyday life – and we come up with the solutions. SAINTS will be our “data-glue”, holding high technologies together. 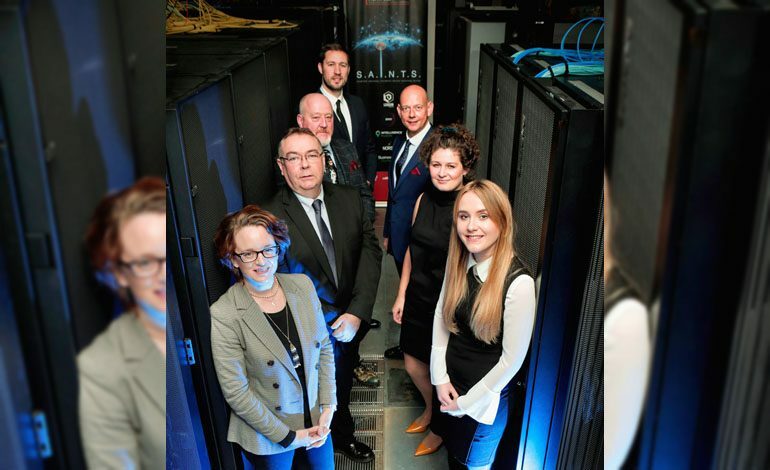 Catherine Johns, innovation director at Business Durham, which manages the North East Centre of Excellence, said: “The democratisation of data ‘from space’ and ‘of space’ is a game-changer for further space and Earth operations. Dr Graham Turnock, chief executive of the UK Space Agency, said: “The launch of SAINTS is a welcome development for the UK space industry and a signal of the ambition of the North East’s fast-growing space sector. • Pictured top (left to right): Catherine Johns, Business Durham, Andrew MacPherson, 3DEO, Ralph Dinsley, NORSS, Michael McCabe, Intelligence Fusion, Austen Atkinson,Lexicon, Amy Nelson, Lexicon Shannon O’Neill, Satellite Applications Catapult.